Elgon | Plant a tree in the Elgon Green Imagea Forest! 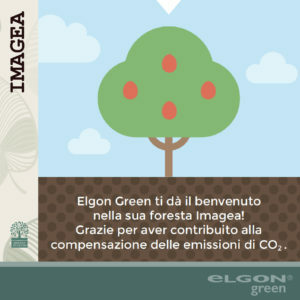 14 Apr Plant a tree in the Elgon Green Imagea Forest! “Let’s Green the Planet”: this is the motto of Treedom, the only website in the world that allows you to plant a tree anywhere in the world, and follow the progress of your adopted tree as it grows and flourishes. Elgon Green contributes to this wonderful initiative with great enthusiasm; so much so that it has decided to work synergistically with Treedom to realize its environmental sustainability project.Since its foundation in Florence in 2010, Treedom has planted more than 280,000 trees in Africa, Latin America and Italy. All the trees are planted by local farmers with a view to producing environmental, social and economic benefits. The trees are planted by those who exploit their fruits, in other words local cooperatives or farmers who plant the tree for their own food self-sufficiency or for the development of local businesses. Elgon Green has entrusted Treedom with planting its first 300 trees in Kenya, creating the Imagea forest that will be expanded over time. As well as providing environmental benefits, the trees will allow farmers to increase production and improve their living conditions.Elgon is deeply committed to environmental sustainability, and therefore has taken the creation of its first forest very seriously.For its Imagea line, Elgon has chosen packaging that guarantees the highest level of sustainability, reducing CO2 emissions to a minimum. And in everyday life, how can we decrease the presence of CO2 in the air? Elgon’s advice is to make small, everyday choices that support nature and the concept of sustainability. How many of you have increased pollution by taking the car for short distances that could be covered on foot or by bike?Leaving the car keys behind and going for a nice walk is a healthy, green solution. Another one is to adopt a plant and help to reduce CO2 in the air with a simple click. Visit the Imagea forest and help the Elgon Green plants to flourish.